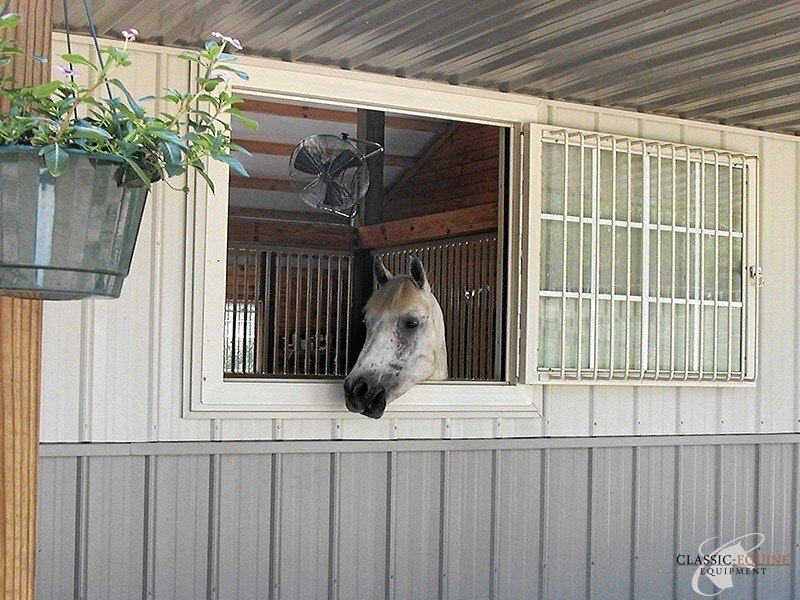 Classic‘s hinged windows perform to the same high standards as our award-winning stalls and doors. 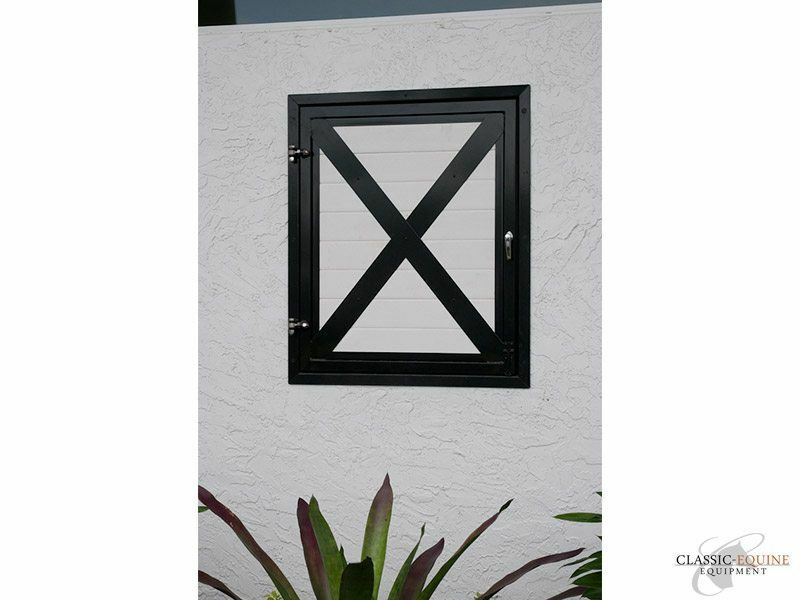 Adjustable stainless steel hinges carry rugged galvanized steel frames with quiet, effortless operation. 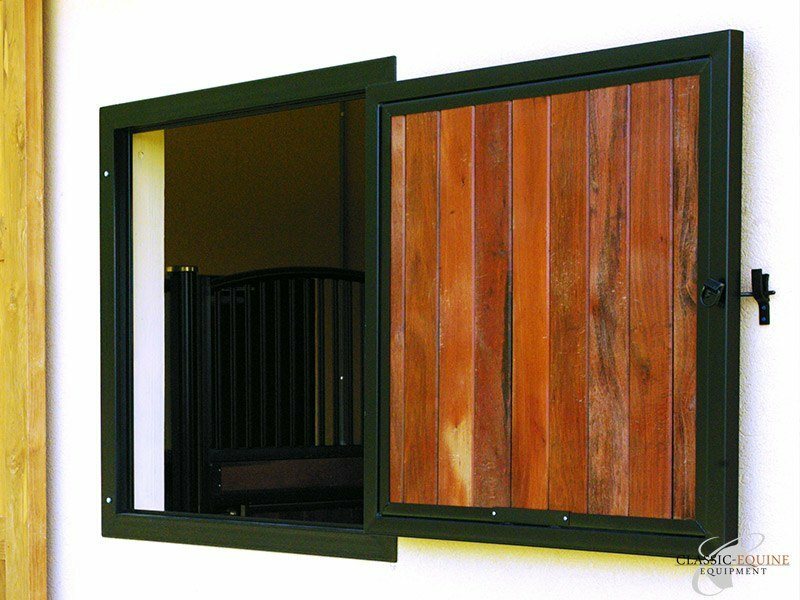 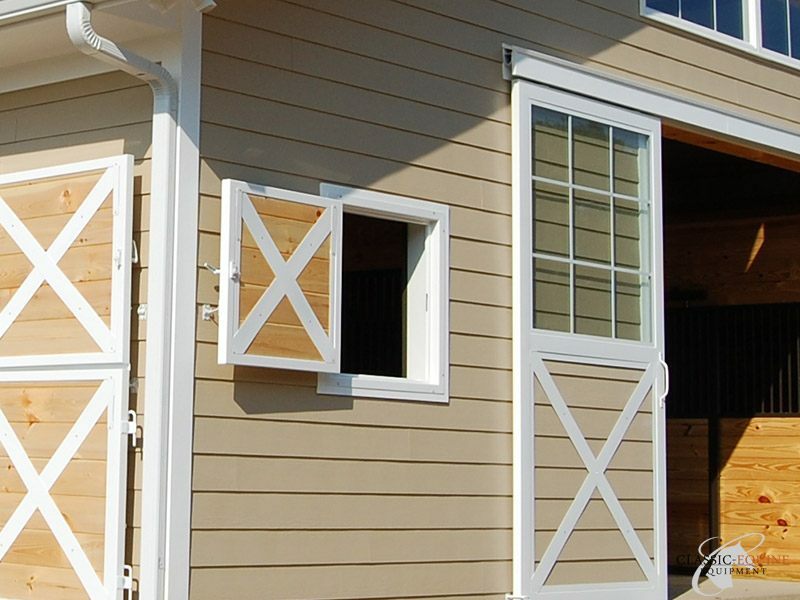 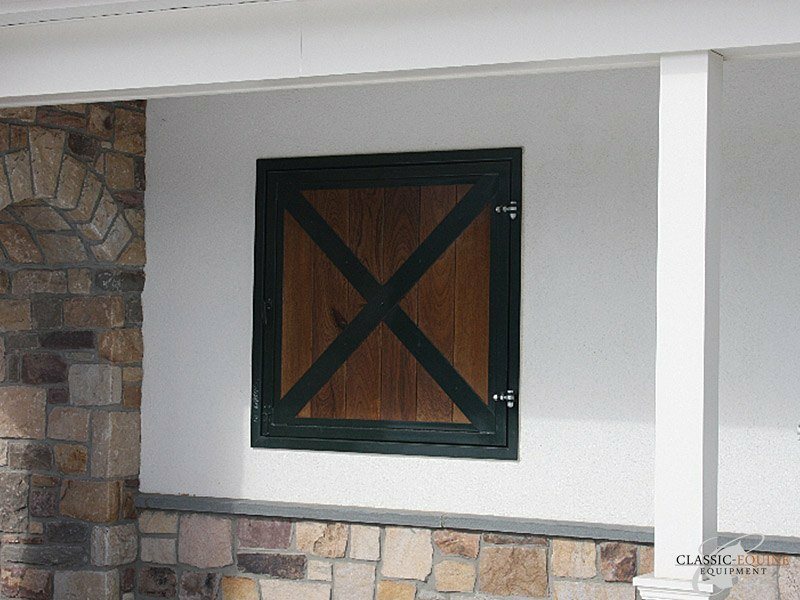 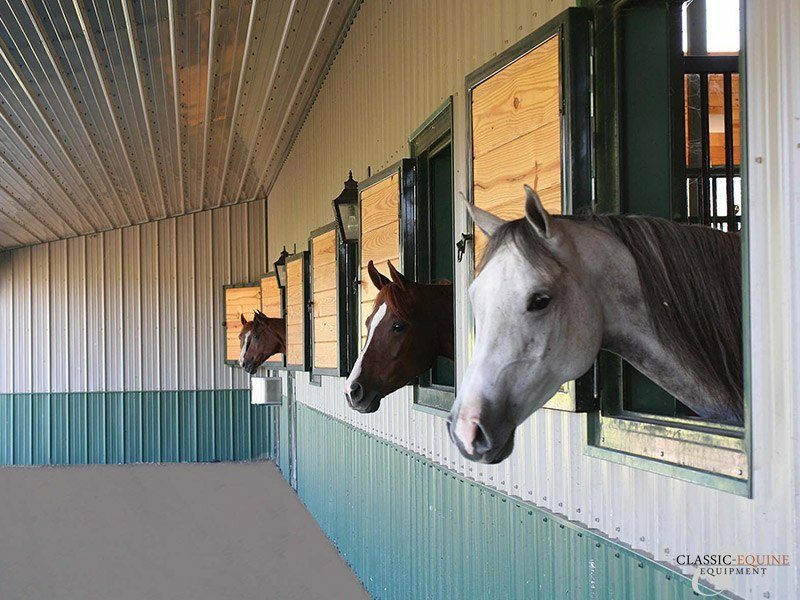 Smoothed corners and edges protect horses from injury, while a powder coat finish in your choice of colors keeps windows sparkling year after year. 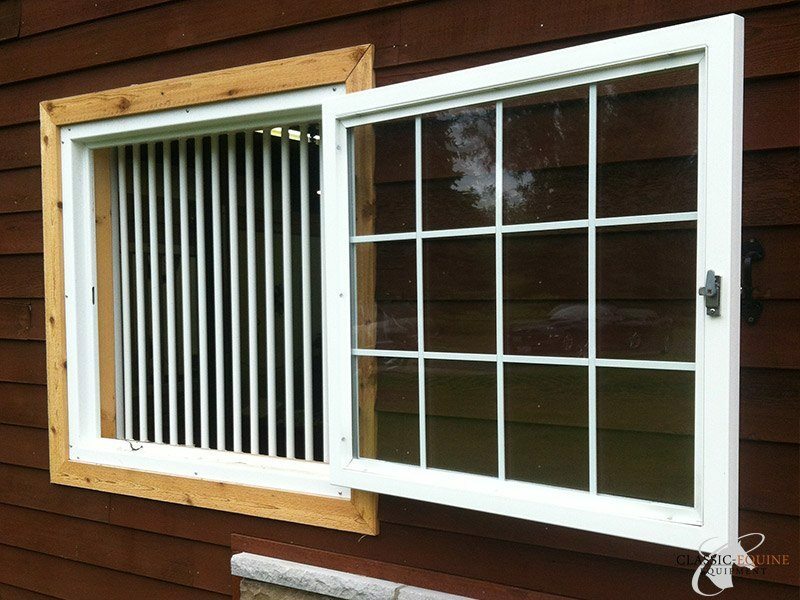 Available in most standard opening sizes, or custom constructed to your exact specifications.